Church | Open Our Eyes, Lord! Do Visitors To Your Church Feel Welcomed? 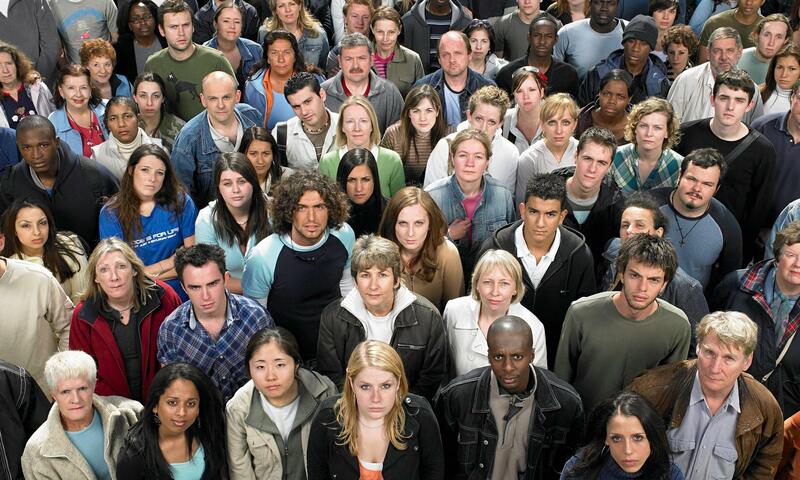 Do you make visitors feel conspicuous in the worship service? Stop it. Seriously. Please stop. Some visitors don’t care and will actually appreciate the attention. But many of them will not. This will be a net loss for you. Plenty of times I have been the First-Time Visitor in a church. being asked to dance a jig, etc. And here in Costa Rica, people don’t seem to be too put out by being welcomed publically. Many people do report (I say “report”, because it seems to me that they are reporting, not “complaining”) that those things make them uncomfortable. And I have no reason to believe they are kidding. and to seek another way to make people feel welcomed but not put on the spot. One other observation: This is one reason why the various city churches of the Church of England are seeing a great uptick in attendance in midweek evening services: “many people are drawn by the formality and relative anonymity of a larger place of worship.”  People can slide into the side door and hear the gospel without making a prior commitment to the congregation. It’s an introvert’s dream. So: you love the Church, but are indifferent about the people in it? We cannot fancy that we love the church as an abstraction, but turn around and fail to love some particular brother; at no time has God allowed that formulation. Only the Trinity can see at a glance the full body of Christ, marching from antiquity to the kingdom; yet even God sees his people always in the concrete, and never as an abstract. We don’t want to be just a number on a page, and God agrees. For us there is no body of Christ which we are invited to love as an idea, but always and only in the immediate, the concrete, the personal. 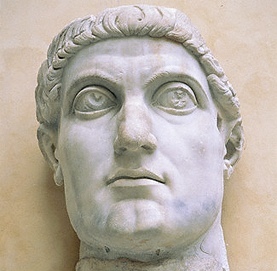 The Emperor Constantine the Great – a villain or a hero, or something in-between? To many, the Emperor Constantine was a saint: in the Orthodox church he is one of the “Equal-to-Apostles” (isapóstolos) a title given to people (such as Patrick, Cyril the evangelist of Russia and others) who were especially effective in establishing the gospel. To others, Constantine is Great was a tool of evil, a corrupter of the church. The attacks against Constantine come from several quarters. Some Messianic believers imagine that he turned the church into a Gentile movement. Others charge him with introducing pagan practices into the church. Seventh-Day Adventists credit him (or some pope) with changing the Sabbath from Saturday to Sunday. Jehovah’s Witnesses think he turned Jesus into God, made the cross a symbol of Christianity, and established Easter and Christmas. All of these parties tend to gang up and use the same materials as the basis for their attacks – for example, many anti-Constantine groups hale back to Babylon Mystery Religion – Ancient and Modern, by Ralph Woodrow (1966). 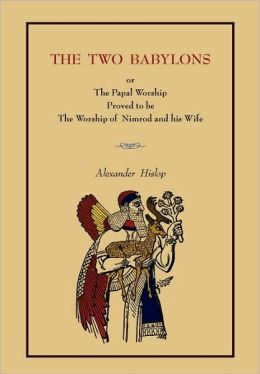 And they and Woodrow borrow much of their “information” from Alexander Hislop’s The Two Babylons (1858), another sketchy attempt to connect Catholicism with Babylonian religion. More on this later. Why didn’t I drop out of church? Post after post announces that young people are leaving the church. I’ve read some good insights on the problems and the solutions. It makes me ponder: Why didn’t I drop out? All to say that, my church didn’t have to try very hard to get my interest. And while in college, church attendance was mandatory anyway. But why not put all that to one side, because beyond these points, there were “centripetal” forces that pulled me into the church. And I’m going to add in some insights from Facebook friends, who helped me work through this topic. By all means, get together with other believers. Church is not what you do for an hour on Sunday morning. On the other hand, being the church must include a regular, open meeting with all types of believers who draw together at a predetermined place and time. Meeting with a friend requires a special invitation; everyone is invited to the church meeting. Therefore, if revival is to come, it will be through suffering. Therefore, persecution is a good, a benefit. Therefore, the committed Christian should pray for persecution to fall on their country. Now, I know of no verse where Christians should hope for or pray for persecution. Nor is there a passage that says, “If you pray for revival, you’d better duck, God will send you tribulation.” Viewpoint A strikes me as one of those Bible interpretations which are, to use the British phrase, “too clever by half.” It’s similar to the one I’ve heard people say, that we shouldn’t pray for patience – after all, if we do, God will send trials on us! I’m stymied, how a Christian could balk at praying for a fruit of the Spirit, or imagine that God will use our sincere prayer in order to play a trick on us! Revival comes with or without persecution. That is, revival and persecution do not follow a strict cause and effect. Nor are they typically correlated. If there is correlation, it’s the question of the chicken and the egg – sometimes persecution comes because the church is growing and lively. Persecution does not necessarily result in purification or vitality. 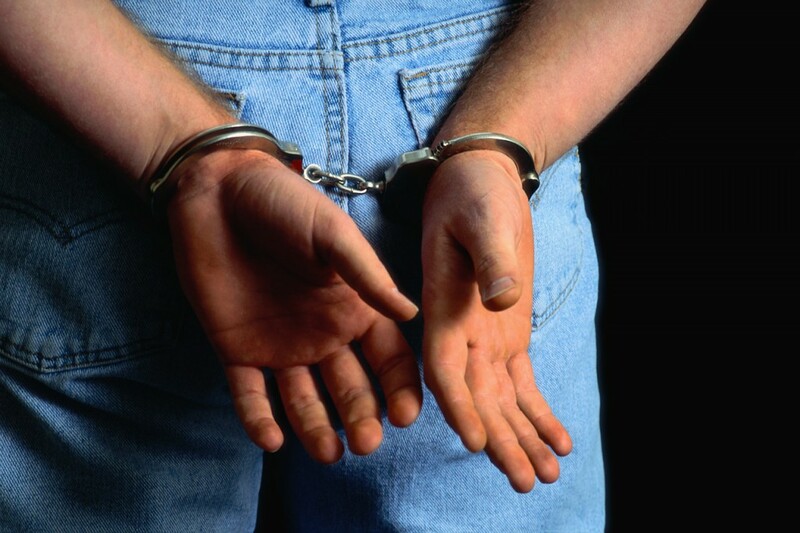 Persecution may be an impediment to church growth as much as it is a spur to growth. People who pray for, seek or volunteer for persecution are on thin ice. Paul was a traveling apostle, not the local pastor of Corinth. Nevertheless, he had to deal with the members of this flock in a pastoral way, teaching, encouraging and rebuking them. For two years I had been taking in the Bible and growing in prayer and evangelism. I served a summer as a camp counselor at Camp Pine Ridge in Rumney, New Hampshire. The older counselors were students at Bible college, and they told me that the New American Standard Bible, published in 1971, was the most dependable; I used it for the next few years. Congratulate me! I just passed an anniversary – in September 1972 I picked up a Bible, opened it and began to read it for myself. To be sure, I had grown up in a Bible-believing Baptist church. I went to Sunday School, memorized Bible verses, could recite the books of the Bible. I knew what Revelation was about and the basic plot of many books. I knew what Paul did, I knew who Jeremiah was. In fact, I was known as the “religious one” in my family. I started my real journey at the same time I had an experience that turned my life upside-down. Although I had professed faith in Christ and been baptized, it was then that I knew that I was a child of God and that he was calling me to be his disciple.